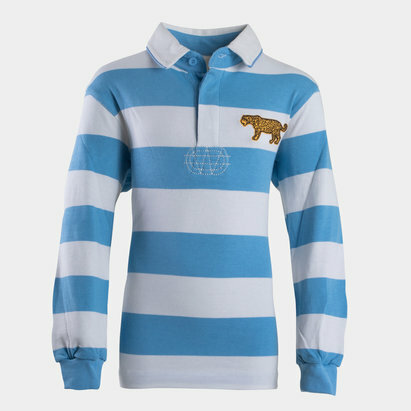 Cheer on the Fishermen at Astley Park when you pull on this Brixham RFC Kids Home Rugby Shirt from VX-3. Playing their rugby in the South West Premier League the Fishermen are hoping to improve on their 10th place finish last campaign and end this season on a high so that they can play in the fourth level league of the English rugby union system next year. Made from polyester, the breathable material makes for great casual wear all year round. Whether at the match, on the high street or simply around the home, you can be assured of a great feel and look that you will be proud to pull on any time. 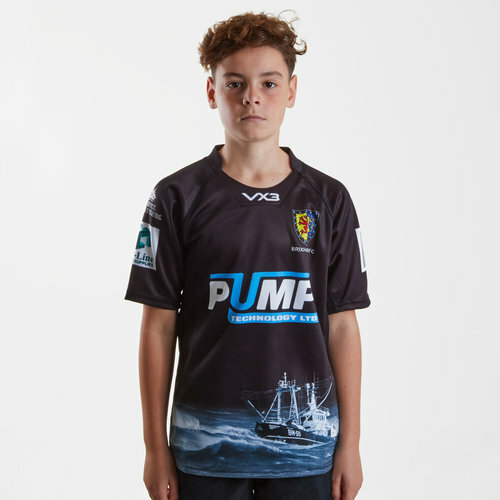 This shirt is dominated by the club's traditional black and features a Brixham fishing boast design at the bottom of the shirt in a blue and white colour matching the sponsor's logo colours. The clubs badge is on the left of the jersey as worn with the VX3 logo under the neck in the centre. The club's sponsor - Pump - is across the middle. The shirt also features their sponsor - lovellrugby - across the back also just underneath the VX-3 logo.